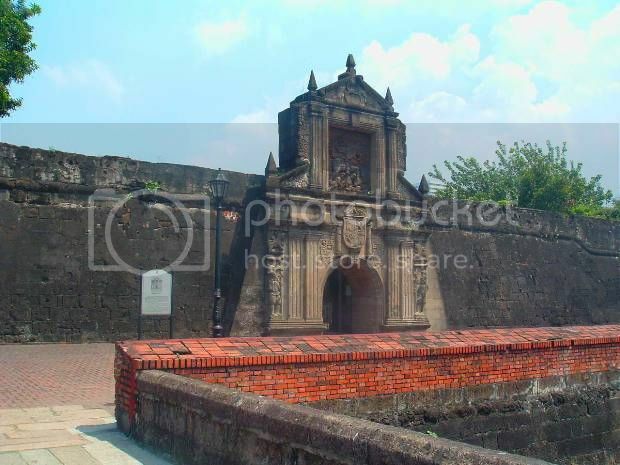 For This Canadian Mother, the Historic City of Manila is the Best Place to Have a Family Vacation - Choose Philippines. Find. Discover. Share. Manila is a great place for a family holiday…really! I know what you’re thinking. It’s busy, crowded and the traffic is bad. There are no beaches. When I told my husband I was going to write a post on why Manila is a great place for a family vacation he made that same face that you are probably making right now! Which is exactly why I had decided to write this post. I am Canadian and my husband is Filipino. We live in Korea and our son was born here. A lot of people would never think of Manila as a great place to have a family vacation with their kids but we had a great time there with our son! We’ve spent a few days here and there in Manila on several occasions over the years and other than the shady taxi situation at the airport we have never had any problems. On our last trip to the Philippines though we actually planned some vacation time in the city with our son and we had a fantastic time (which my husband DID end up remembering)! Thanks to the Tagalog for Kids Flash CardClick and drag to move set we have at home “Jeepney” was one of the first vehicle words our son learnt along with car and truck. On our first trip to the Philippines to meet his lolo and lola we arrived around midnight in Manila. We pulled out of the airport in our taxi and there it was: “Jeepney!” He was only 21 months old at the time but it was a dream come true. Everywhere he looked, there they were. The taxi driver found it more than a little amusing that there was this little boy pointing out and yelling in excitement “Jeepney! Jeepney!” over and over. The next year when we visited we kept our eyes open for the brightly painted icons of the city, added additional toys to his Jeepney collection and even got to “drive” a Jeepney. READ: American Travelers: "Filipino Street Bakeries Should Not Be Overlooked"
Kids love Jeepneys and so do tourists! The Jeepney is to Manila like the streetcar is to San Francisco. Though you can still track down some fantastically styled Jeepneys for your little car lover to marvel at they are becoming increasingly less common. Or at least the painted ones are. The most impressive Jeepney we saw in Manila. They are becoming less comon. I’ve heard two different takes on why this is. In the media I read that it is getting too expensive for drivers to decorate their Jeepneys. This may be true but I find it hard to believe. There are companies out there that offer to sponsor decorations and the more attractive Jeepneys tended to get more business in the past. When we were in Manila several different taxi drivers told us that the real reason was because of tension between the drivers of the decorated and not decorated Jeepneys. They said that the drivers of the non-decorated vehicles were unhappy that they were getting less business and that rules may have been put in place to discourage the decoration to create a more equal playing field. Whatever the reason, our son loves the Jeepney and the decorated ones even more so. Hopefully measures are taken to preserve this part of the Filipino culture and tradition. READ: Which Philippine City was Named One of the World's Most Budget-Friendly? On the way to the hotel our son fell asleep. We checked in, went to our room, placed him on the bed and waited. When he woke up he slowly sat up in bed and looked around unsure of where he was and then…fish! An entire wall of our room was a giant aquarium! We couldn’t have planned the surprise any better. Feeding time. We found Dory! Located in Luneta, Manila behind the Quirino Grandstand and actually situated on Manila Bay, Hotel H2O features aquarium themed rooms. There are rooms that have beautiful views of Manila Bay but what we were after was the “Aqua” themed room. In the Aqua rooms an entire wall of the room is an aquarium. The fish are not confined to your room but rather the aquarium goes between the rooms so your visitors are always changing. We spent ages excitedly waiting for “Dory” to make her appearance in our room again. Twice a day the fish are fed in your room so each guest gets to see a great display of fish gathering at that time. Continue reading about what to do one a family vacation in Manila here! We are a Filipino (dad) and Canadian (mom) family living and raising our son in South Korea. Family in Faraway Places covers our travels in Korea, the Philippines and abroad and our life as an expat family living away from home.